On 28 January, 25 years ago, the 10th Panchen Lama of Tibet died at the age of 51. Popular Tibetan opinion commonly refers to the 14th Dalai Lama and the 10th Panchen Lama as the “sun and moon” of the Tibetan Buddhist firmament. They are the center of Tibet’s Buddhist civilization which draws in its sphere millions of non-Tibetans. The importance of the 10th Panchen Lama to the Tibetan people was that his short life encapsulated the political tragedy and spiritual triumph of Tibet. The challenge Tibetan spiritual leaders grapple with even today is how Tibetan Buddhism can co-exist with a system that brooks no rival in its desire for total dominance. On his part, the Panchen Lama while working within the Chinese communist establishment chose to be its most vocal critic. How he did it is a story of courage, personal tragedy and how Tibet in his view could productively co-exist with modern China without losing its Buddhist soul. For many years after the failed 1959 uprising that forced the Dalai Lama and about 87,000 Tibetans to flee to India, Tibetans took a dim view of the Panchen Lama. In this exodus, almost the entire Tibetan Buddhist church, the Tibetan equivalent of the pope, cardinals, bishops and the clergy relocated in India. The dim view the Tibetans had then of the Panchen Lama was based on the fact that he was the lama who ‘stayed back in Tibet’, implying that he had sided with the Chinese Communist Party. In his petition, the Panchen Lama documented the unprecedented famine and starvation that devastated Tibet. He documented the arbitrary arrests and imprisonment of thousands of Tibetans on the slightest suspicion of involvement in the armed uprising. In his report, the Panchen Lama said Tibetan Buddhism, which constituted the foundation of Tibetan culture, was on the verge of extinction because of the irreparable damage done to the monastic education system that continuously refreshed and sustained Tibet’s Buddhist civilization. The Tibetan population was decimated. The Panchen Lama said the Tibetan language struggled to survive or stay relevant within a Chinese-language dominated education system. 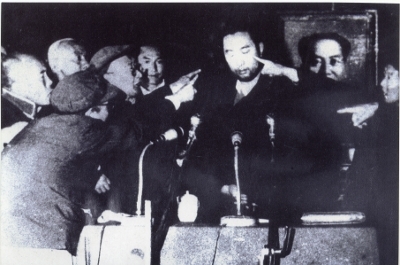 Mao Zedong called the Panchen Lama’s petition “a poisoned arrow” shot at the Chinese Communist Party by “Tibet’s feudal lords.” The Great Helmsman condemned the Tibetan spiritual leader as “a class enemy.” The young lama was publicly denounced, subjected to severe struggle sessions. He spent 14 years in prison. But the Tibetan leader wasn’t done as yet. During 14 years of his disappearance, many in Tibet did not know whether he was alive or dead. This doubt was cleared up when on 26 February 1978, Xinhua, the official news agency, announced his presence at the Chinese People’s Political Consultative Conference in Beijing. In 1980, the Panchen Lama was reinstated as Vice-Chairman of the National People’s Congress, China’s parliament. On 9 January 1989 the Panchen Lama visited Shigatse, Tibet’s second largest town and the traditional parish of the Panchen Lamas, to consecrate the newly-renovated mausoleums from the Fifth to the Ninth Panchen Lamas at his main monastery of Tashi Lhunpo. On 24 January in his address to the monks of his monastery and the people of Shigatse, the Panchen Lama said that the Chinese rule in Tibet had brought more destruction than benefit to the Tibetan people. Panchen rinpoche during the struggle (thamzing) sessions. The Panchen Lama survived his 70,000 character petition. But this his last judgment on Chinese rule in Tibet cost the Panchen Lama his life. On 28 January, five days after delivering this blistering criticism of Chinese rule, the Panchen Lama was found dead at his monastery. His death followed the drama of two Panchen Lamas, one recognised by the Dalai Lama and another appointed by Beijing. This story is told in riveting detail in Isabel Hilton’s The Search for the Panchen Lama. In May 1995, the Dalai Lama recognised a six-year- old boy in Tibet, Gedun Chokyi Nyima, as the authentic reincarnation of the 10th Panchen Lama. China bundled off the boy and his family to Beijing. Till now no one knows where Tibet’s real Panchen Lama is, the state of his mental and physical health or that of his education. In November that year, Beijing appointed Gyaltsen Norbu, another six-year-old boy as its Panchen Lama. He too lives in Beijing because the monks of his monastery, Tashi Lhunpo, are too hostile to Beijing’s candidate to allow him to reside and study within the compound of his own monastery. Beijing’s grooming of its Panchen Lama is aimed at snatching the ultimate prize: controlling the recognition of the 15th Dalai Lama. Whether Gyaltsen Norbu will allow himself as a pawn in such a blatant manipulation of his spiritual weight will test his character and loyalty to his spiritual heritage in the years to come. 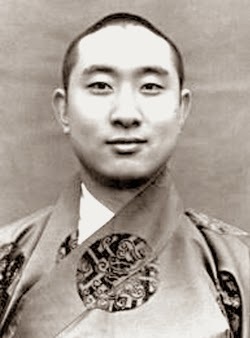 Khenpo Jigme Phuntso set up the Serthar Buddhist Academy in 1980 in Larung Valley in the predominantly ethnic Tibetan area of Kandze in Sichuan province. Soon the academy attracted students not only from all over Tibet but from Taiwan, Singapore, Hong Kong, Malaysia and the mainland itself. By 2001, when a nervous provincial authorities in Chengdu, forced the demolition of residences of monks and nuns and expulsion of all who did not belong locally, the academy had attracted 10,000 students, about 1000 of them from mainland Chinese. Serthar Buddhist Academy survived the destruction. Now it has a greater number of student body and more mainland Chinese students. This perhaps is the late Panchen Lama’s legacy and a triumph of sorts of spiritual Tibet over material China. NOTE--Thubten Samphel is the director of Tibet Policy Institute, a research centre of the Central Tibetan Administration based in Dharamsala, India.